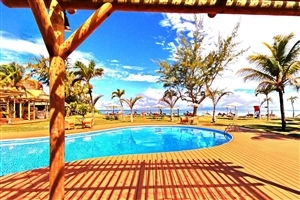 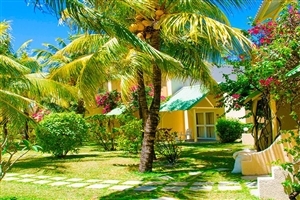 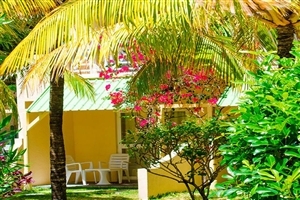 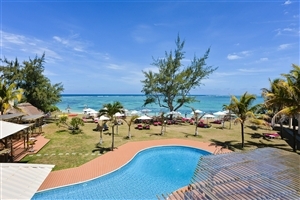 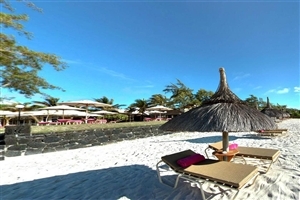 Located on the white sands of Trou d’Eau Douce Beach, the Silver Beach Hotel is the ideal place to enjoy a relaxing break in peaceful surroundings away from the hustle and bustle of city life. 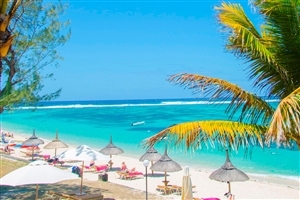 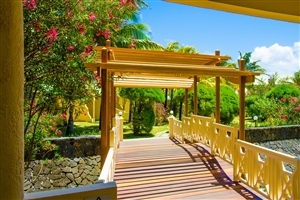 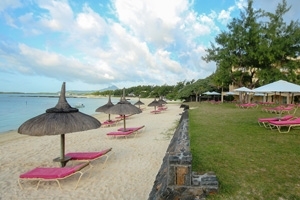 This all-inclusive Mauritian resort provides excellent value for money, with meals and drinks covered and a range of non-motorised watersports also included for those who want to keep active during their time away. 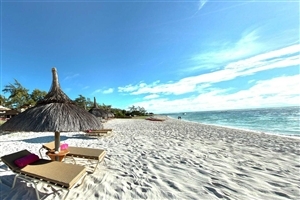 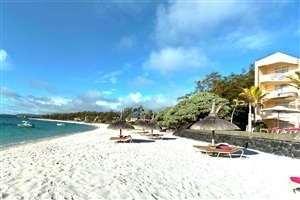 Sitting on the white sands of Trou d’Eau Douce Beach on the east coast of Mauritius, Silver Beach provides the ideal location for those keen to get away from the hustle and bustle of city life. 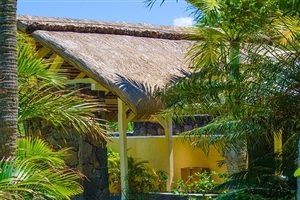 With just 60 rooms, the small hotel provides ample opportunity to enjoy a relaxing break in quaint and peaceful surroundings yet is only a short trip from the various activities available on the stunning nearby island of Ile Auc Cerfs, which can be reached by a regular shuttle boat service. 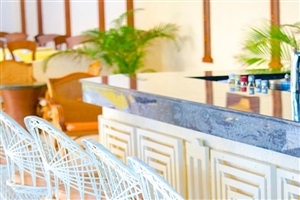 The all-inclusive nature of the resort provides excellent value for money, ensuring that everything is catered for over the course of your stay. 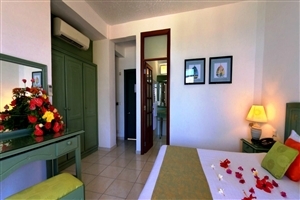 Located in the main building of the resort, Sea View rooms feature 26 square metres of accommodation, including separate bathroom with shower and either a King Size or twin beds. 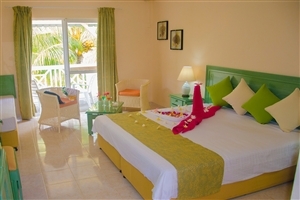 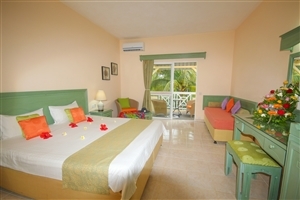 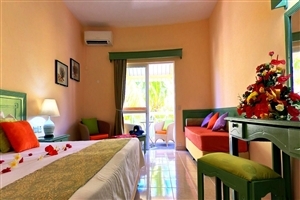 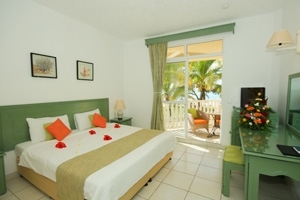 Sea View Rooms are suitable for up to two adults. 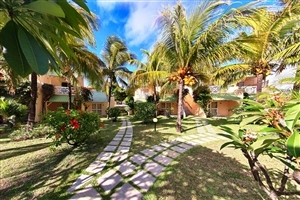 Garden View rooms feature 32 square metres of accommodation, including a separate bathroom with shower, and are located in a number of bungalows around the hotel grounds. 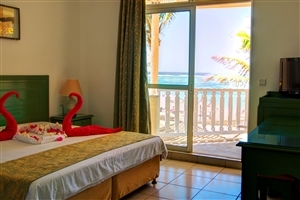 The additional space compared to Sea View Rooms allow for conversion into a triple room, making them suitable for up to three adults, or for two adults and a child. 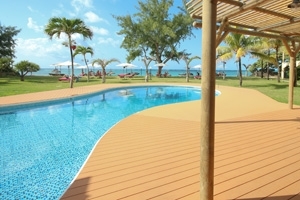 The hotel’s restaurant serves a combination of European and local cuisine in a location facing both the pool and the sea, providing scenic views at dining times. 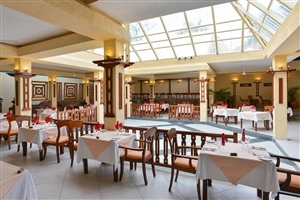 Both breakfast and lunch are served in a buffet environment, with three buffet dinners and four from the in-house menu over the course of a week. 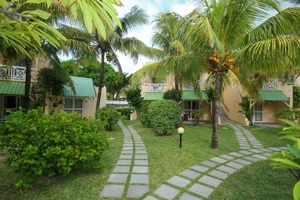 Vegetarian meals are available on request.